If you are lucky enough to have a mulberry tree in your backyard (or in my case, in my friend’s yard!) 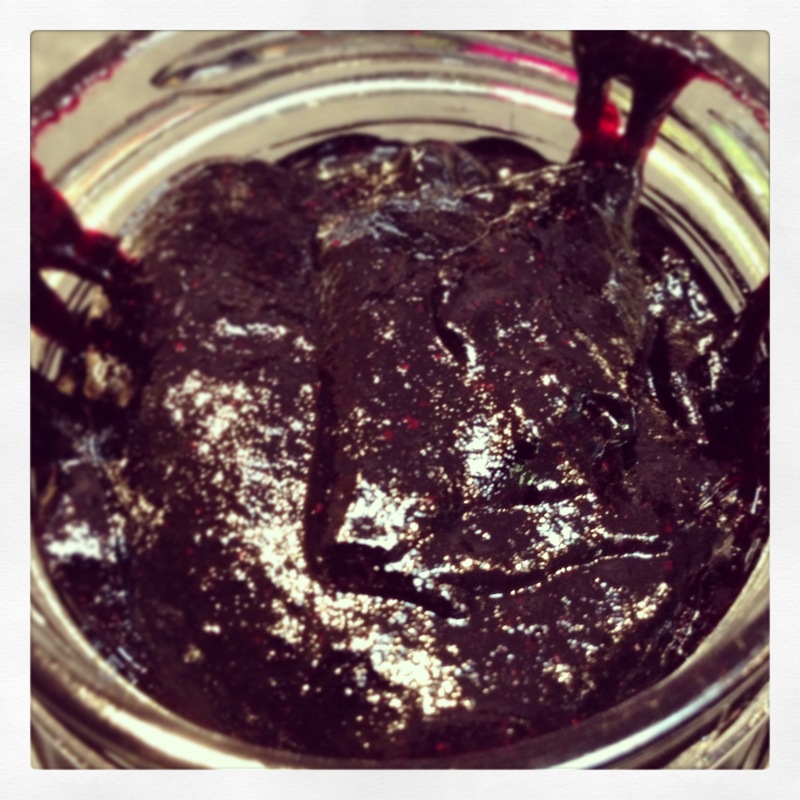 then take some time to make this scrumptious mulberry jam and preserve some of the lovely fruit. My friend, F, and I had a great morning making this mulberry jam – check out her Mulberry Mayhem on Tumblr if you need more mulberry recipe inspiration. Since making this tomato sauce for my family, we have been unable to go back to sauce from the supermarket. This recipe makes a tasty, thick tomato sauce that has a very mild spiciness. Of my 3 kids, one loved it immediately, one loved it once I convinced him to try it and one loved it on her second tasting. I love that it is so much better for the kids (and us) than processed sauce from the supermarket, it contains no additives or preservatives, and it even contains vegetables! The recipe is from the TMX recipe community. This sauce does stain the thermomix lid and basket, but this resolves within a few regular washes in hot, soapy water. Cook 40 min, Varoma, Sp 2. Place simmering basket on top of lid to prevent splattering. Add remaining 50g red wine vinegar, bay leaf, spices, salt and honey. Cook 20 min, Varoma, Sp 2 with simmering basket in place again. Transfer into sterilised jars. Keeps up to 6 months in the fridge. Recycle used jars or buy new glass jars for your preserve. Wash the jars and lids thoroughly in hot soapy water, rinse well and air dry. Alternately wash them in the dishwasher. Then place clean jars on a clean tray in the oven at 100C and allow to dry out for 15 min. 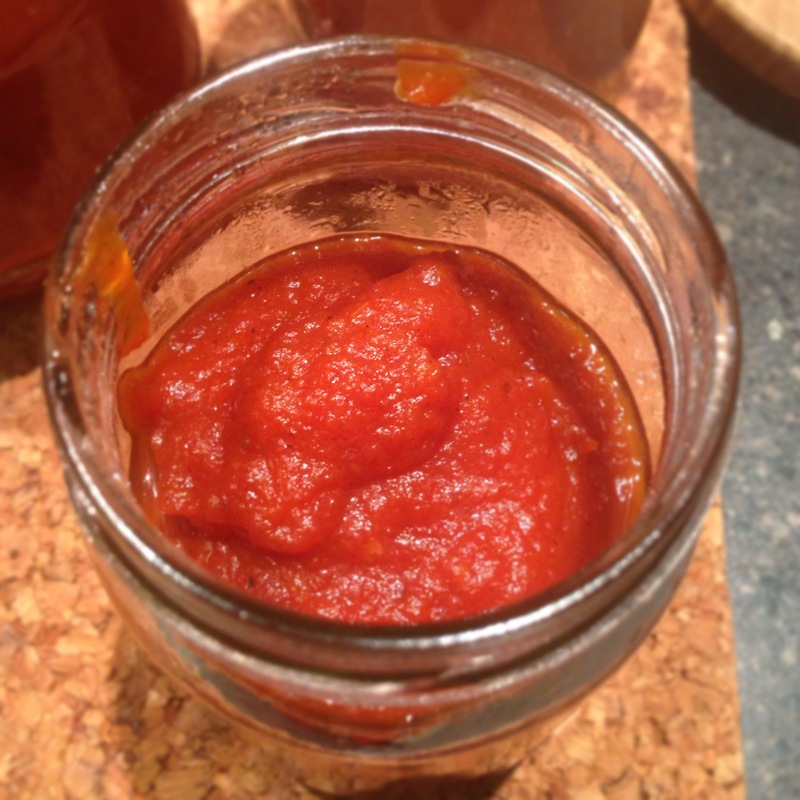 Pour hot preserve into hot, sterilised jars and seal with lids immediately. As the preserve and jar cools the lid will be pulled in to form a seal. The lid of the jar will ‘pop’ when opened. You can also purchase plastic film seals for your jars that go over the jar before the lid is put on. I’m sure you can buy them elsewhere but I get these ones from Coles ($1.83 for a 24 pack). They are handy if your jars have been reused numerous times and the lids are getting worn. I absolutely love marmalade. I have made it myself on the stove and it’s turned out really well, but I haven’t tried it in the TMX … until today. The result was outstanding. 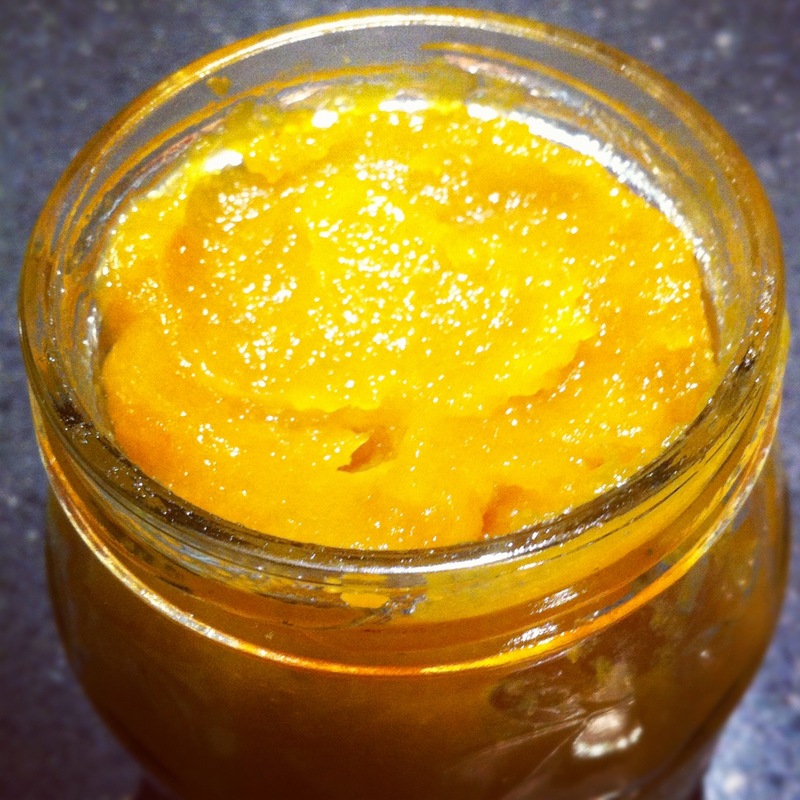 A really yummy, not too sweet, orange marmalade. For a different flavour, you could try mixing citrus fruits – maybe orange and lemon, orange, mandarin and lemon or even add in some lime – just keep to the 600g limit. If not cooked enough, cook on Varoma for a further 10 min, Sp 1 and check again. Repeat until desired consistency is reached. Recycle used jars or buy new glass jars for your preserve. Wash the jars and lids thoroughly in hot soapy water, rinse well and air dry. Alternately wash them in the dishwasher. Then place clean jars on a clean tray in the oven at 100C and allow to dry out for 15 min. 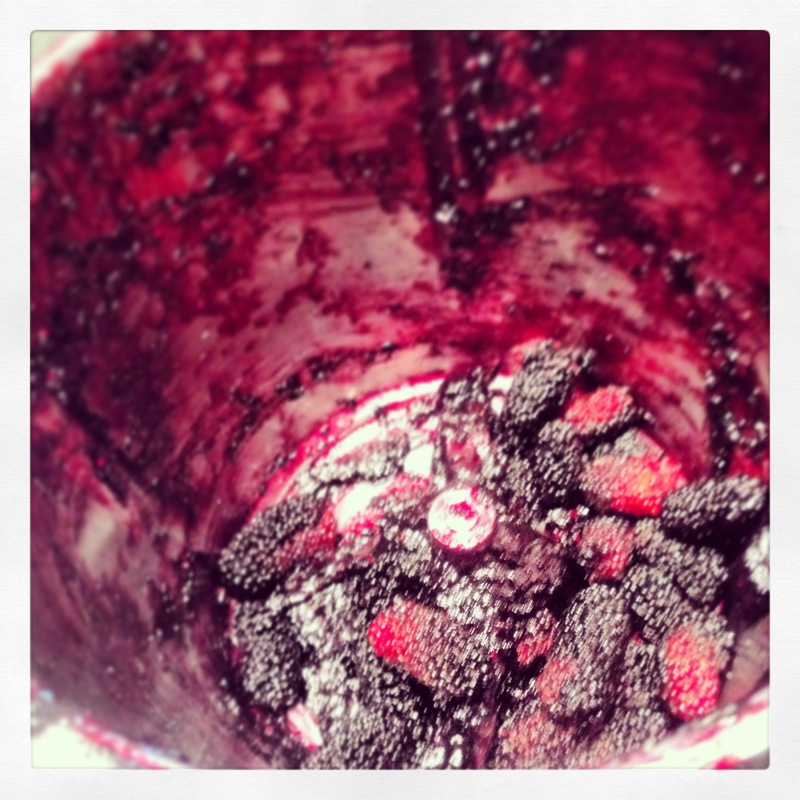 Pour hot jam into hot, sterilised jars and seal with lids immediately. 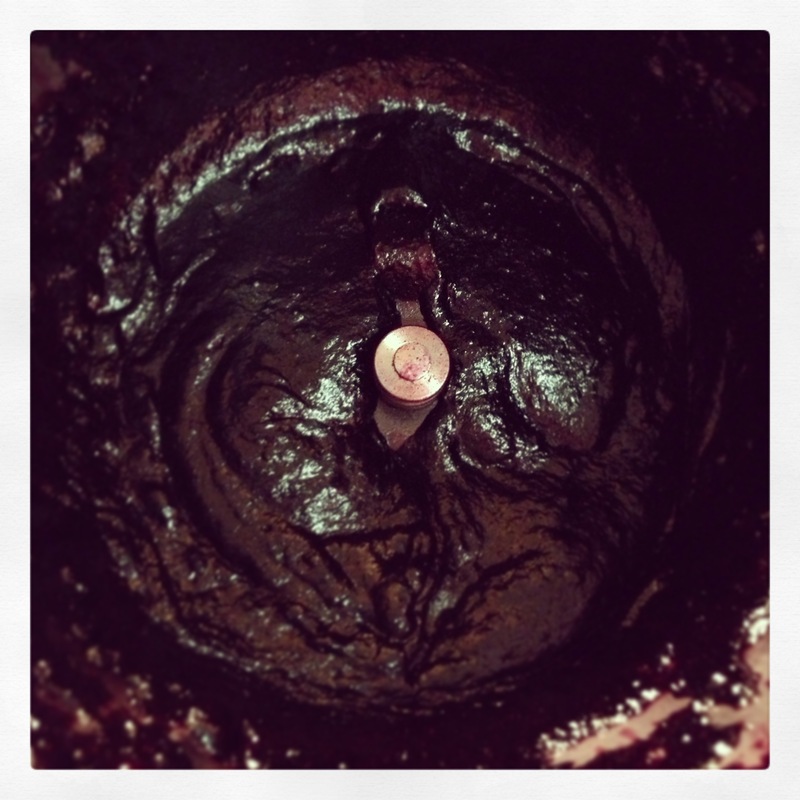 As the jam and jar cools the lid will be pulled in to form a seal. The lid of the jar will ‘pop’ when opened. You can also purchase plastic film seals for your jars that go over the jar before the lid is put on. I’m sure you can buy them elsewhere but I get these ones from Coles ($1.83 for a 24 pack). They are handy if your jars have been reused numerous times and the lids are getting worn. Today is my Mum’s birthday, and the perfect opportunity to whip up these delicious lemon curd cupcakes as a treat for her (and us!). 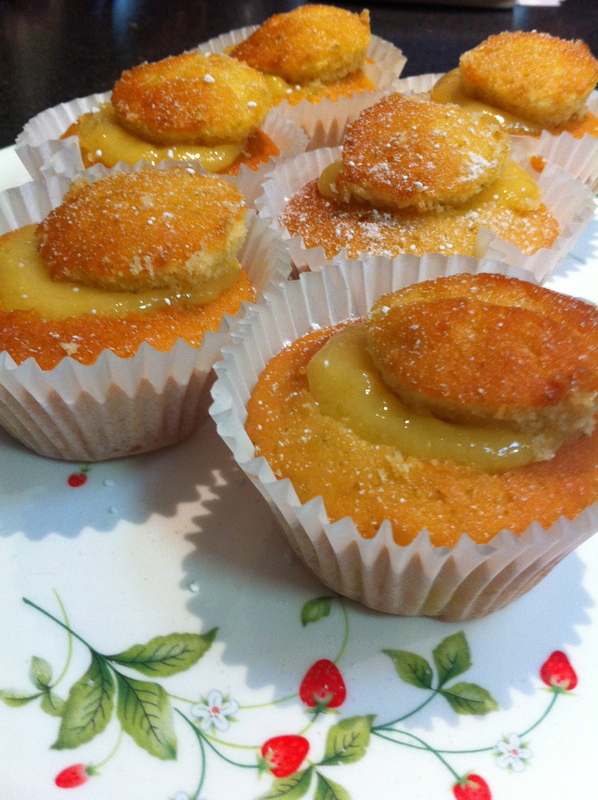 Inspired by the most divine lemon curd cupcake that I had at Mrs S Cafe. You need to make the lemon curd well ahead of time leaving at least 6 hours for it to cool and thicken. 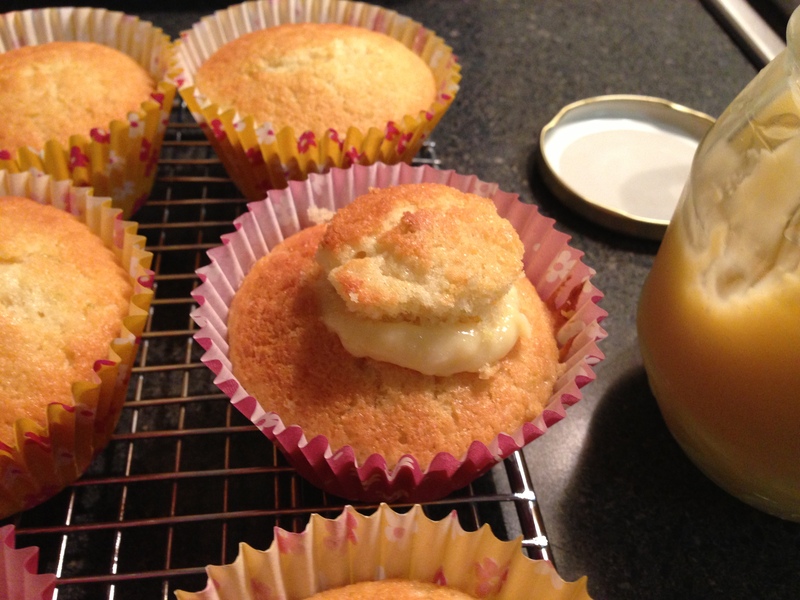 Additionally the lemon cupcakes need a few hours to cool before adding the curd. 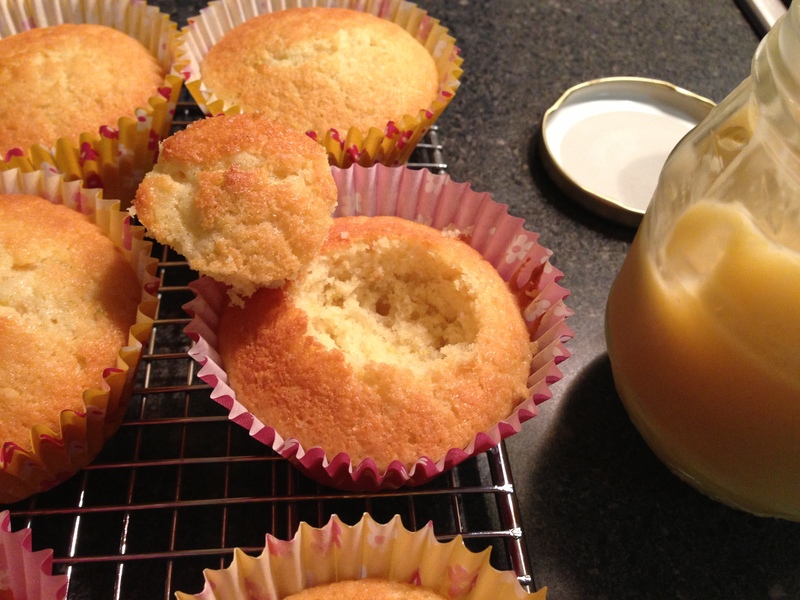 I know the alternate mixing method is a bit of effort, but it does give a much lighter cupcake in the end. This recipe is from the Thermomix App. I’ve had this app for quite a while now and regularly use recipes from it. Everything I’ve tried so far has worked really well. It is $8.49 and currently has 145 recipes including starters, mains, deserts, baking, drinks and basics. Every few months a free upgrade is released with more recipes (usually 6-10). Cool completely before storing in the fridge. Will keep for up to a month. 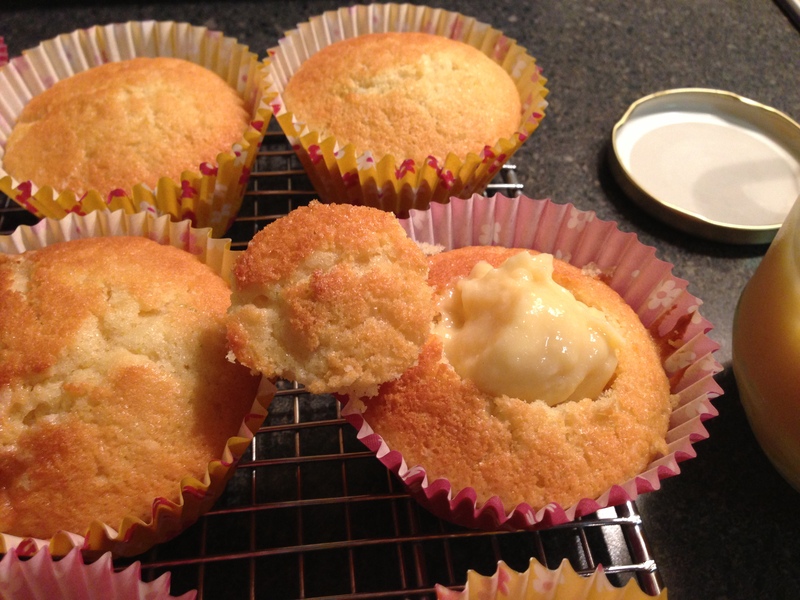 Once your cupcakes and lemon curd have cooled, simply use a sharp knife to cut out a small circle of cake from the top of the cupcake, dollop in a generous teaspoon of curd, gently push the circle of cake back in to squeeze a little curd out the top and dust with icing sugar. Voila!